You might want to forgo spending that extra dollar of something trivial tonight, as the Mega Millions has hit another record number for this year. The winner of tonight's drawing will be collecting $113 million in prize money since there were no tickets matching all six numbers in Tuesday's drawing. 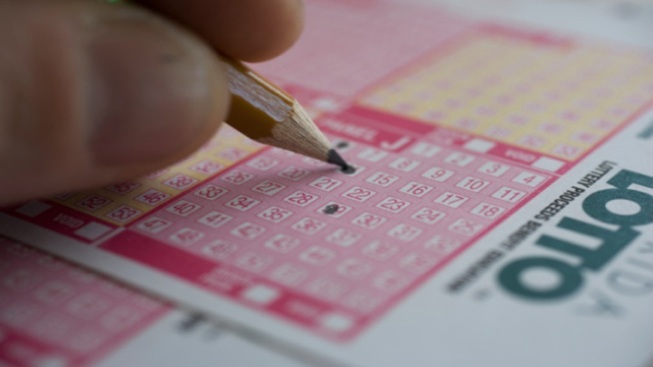 The jackpot is the first to surpass the $100 million mark since June. Even though they didn't take home the big prize, there were some winners on Tuesday. Three tickets matched five numbers in San Jose, Pacifica and Vista, and landed some lucky people part of a $334,824 prize. The question now is: Given how big tonight's prize will be, are San Diegans going play? Last week we asked our Facebook followers the same question when it was reported that a winning MEGA Millions ticket was sold at a Carlsbad Chevron. It seemed the line was drawn right down the middle. When asked whether she played regularly, viewer Diana Trepesowsky commented, "Never. I keep referring to "winning the lottery" but I've lived in SoCal for over 10 years and haven't once bought a ticket." However luck does find it's way to a few said viewer Brandon Moyes , "Earlier this year [seven] co-workers at our San Ysidro location got [five] numbers off of a Mega Millions ticket and split $250,000; $33,000 each after taxes. "Why couldn't it have been my location?," Moyes added.